While he was gone, Clark was mostly even keeled, with me at least. He had his bi-polar swings, but because he was so focused on the tasks at hand, the moodswings were less apparent than normal. I know that the guys he worked with got the worst of his moods; by the time he would get to me, he was so glad that we had time to talk that he rarely got mad or upset with me. We talked about everything under the sun, and because we established our relationship on the basis of open communication, we had an advantage over some of the other military couples we knew. There were probably only a handful of times in the year Clark was gone that we had anything resembling a fight. No matter how frustrated we were, the rule was “no hanging up, and always say ‘I love you’”. See in his real life, the person most people know him to be is a tough-talking, tough-acting badass. He has a bad attitude and the ego to back it up. We always joked that his theme song (oh c’mon, ya’ll have one in the back of your head) is “Cocky” by Kid Rock. It fits his persona and most anyone who knows him would agree with that assessment. But with me, he was always a different person. He was sweet, compassionate, fiercely protective but very gentle with me. We are very open about everything, so there is a lot of underlying trust and we are very comfortable with one another; but very few people know the quiet side of Clark. When he reverts to his other self, it’s like Dr. Jekyll and Mr. Jackass. I got used to it after a while because I understood that it never had anything to do with me, I was simply the recipient because subconsciously, Clark knew that not only could I handle his drama but that I would still love him just as much as ever. However, there were times during his deployment where his behavior was out of character…one instance in particular stands out in my mind. He had left their camp in Iraq and driven in a supply convoy down to Kuwait. This was somewhat of a normal occurrence for us since he went about every other month. I never liked him being on those roads, but him going to Kuwait also meant two to three days of almost constant phone time. Sometimes we would actually get three or four uninterrupted hours of talk time…that is, if you ignore the peculiar “charms” of satellite phones. 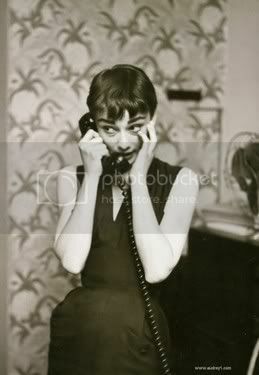 Anyway, it was on one of these trips that Clark called me and was acting very strangely. It took me about twenty minutes to finally get out of him what was wrong. Most of what was said can’t be repeated here for obvious OPSEC reasons, but suffice to say that there was an incident on the convoy road that had him shaken to his core. I had never heard him quite this upset and I was at a loss of what to do to help him…I felt like everything I said was hollow and pathetic. By this time, Clark and I had a very effective way of communicating in our own code so that we could talk about all the things going on around him and no one was the wiser. I knew from his wording of things that there was more story he hadn’t yet shared. So I gently, but firmly, prodded him to share. The then recounted, in coded detail, the tragedy that had occurred on his way to Kuwait. But, that unfortunately, wasn’t all that had happened. He had been so upset with himself and the situation that he borrowed a Ducati 990 from some contractor at the base. He took it out into the desert and tried to flip it, spin out, whatever he could to try to crash the bike, and consequently himself, at 120mph. I was in complete shock. I didn’t know what to think…I was horrified at the knowledge that he almost died, repeatedly, and because he wasn’t at his base, there would have been no way for me to have known for quite some time. There is something I should clarify about Clark; he is an adrenaline junkie. If it’s fast he’ll try it. The running joke is that he can (and will) drive anything with wheels and many things without. So before he left, he promised me that he would be careful and he wouldn’t take any unnecessary risks. This obviously broke both parts of that particular promise. I was so upset and angry and hurt and above all else: worried sick about him! Here I was, thousands of miles away from the man I love, powerless to help ease his hurt and inner terror. We talked it all out, but it was rough. He was an entirely different Clark than I was used to. It was then that I fully understood the effects of war on a man’s psyche. I never had an idealized view of war, but neither had I ever felt its effects so deeply or so close to my heart. The flip flops in Clarks behavior continued as the deployment went on, but the worst of it was not to surface until after he was home. While he was deployed the “I love the Army/ I hate the Army” swing was almost a joke between us. He craved the structure and fully believed in his motivation for the tasks at hand; but he hated the institution that separated us for so long. We used humor to cope with a lot of the trauma that surrounded the entire deployment. I’m sure that to a casual observer, Clark and I would have seemed callous…most people don’t joke around like that; but one either laughs or cries...and neither of us had the time to cry as much as we could have. So we laugh. Some jokes still aren’t funny, but they are all understandable after what he’s been through, and by proxy, I understand too.